The Stealth 700 is the premium wireless gaming headset you’ve been waiting for, with features like Active Noise-Cancellation, Bluetooth™ connectivity with app-based settings, and much more. The STEALTH 700 features an all-new modern style and delivers immersive surround sound plus chat audio through powerful 50mm over-ear speakers, and features Turtle Beach’s renowned high-sensitivity mic that can be flipped-up to mute. For comfort, the STEALTH 700 dawns the latest iteration of Turtle Beach’s unique ProSpecs™ glasses friendly design, and has a synthetic leather-wrapped headband and ear-cushions. 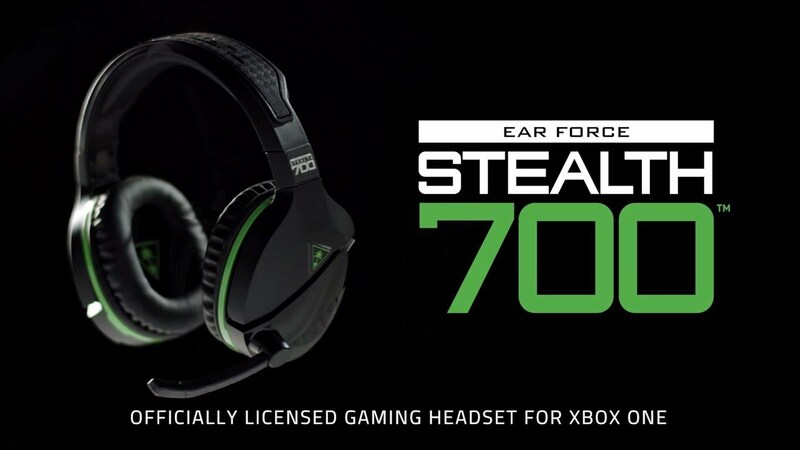 The STEALTH 700 also includes Turtle Beach’s exclusive Superhuman Hearing™ sound setting, Mic Monitoring, independent game and chat volume control, Dynamic Chat Boost™, audio presets including Bass Boost, and a 10-hour rechargeable battery. turn-on the headset and start playing. surround sound to bring your games, movies and music to life.